Looks exactly like normal glasses - but secretly records high definition video. These discreet HD glasses let you record high quality undercover videos without anybody knowing the better. That’s because the tiny pinhole lens is well hidden into the frame itself and the record button is built into the logo. So even under close examinations no one will ever suspect a thing. 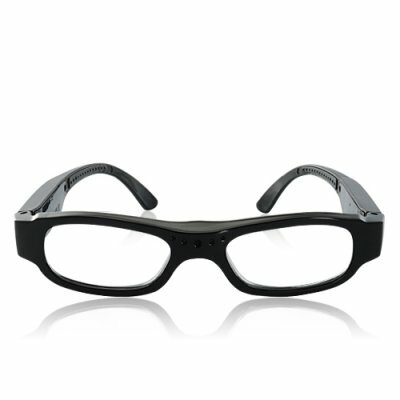 These glasses come with 4GB of internal memory and record stunning HD videos at 1280x720 and 30FPS. Using this device is quick and easy too. Simply turn it ON and it automatically begins recording. Press the logo once more and it will stop and save everything you want to capture.